There is a reason this life isn’t meant to be lived alone. 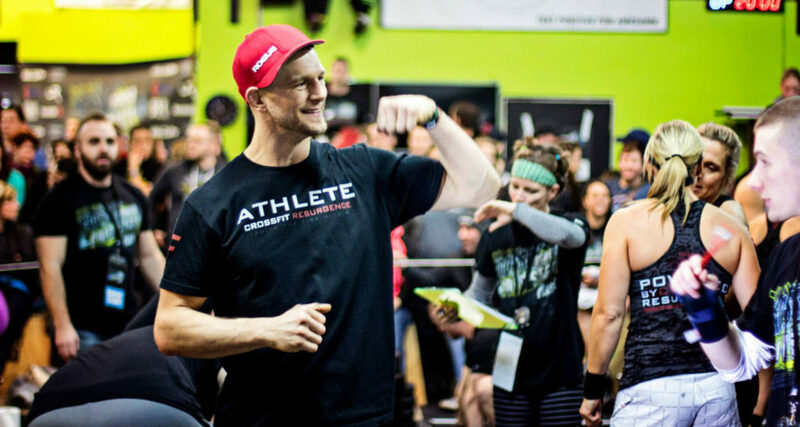 Real quick story of why the Crossfit model is so effective. It’s because it’s not just about fitness, its about COMMUNITY. You will go through ups and downs in life. You will go through seasons. When you are down, you bring it to the light by talking about it with others and then when you are ready to make changes, they are there to help you and hold you accountable. Being around others with similar goals is a critical part of continuing to progress in life. I have recently been going through a season where fitness didn’t fit in my life. Gasp! I know, a gym owner that didn’t make working out his top priority, how can I live with myself! Well a friend of mine recently shared an analogy from Jason Khalipa (CrossFit games veteran and business owner and family man) with me about building a “hedge” of fitness that helped me accept and embrace what I was doing instead of wallowing in guilt and self pity while I choose to make other things a priority for a season of life. See my business is at a critical junction, and my family needs me, and when I devote hours to exercise then that requires that I need more sleep, more recovery, and quite frankly it just didn’t fit. By taking a step back, I worked with a coach (our very own registered dietician Sophia Elie) because yes, even coaches need coaching. We created a plan based on my goal. I wanted to heal my body, and I wanted to be able to run like a superhuman. By focusing on nutrition for performance to heal my body, and getting my priorities straight, I was able to create a plan to get back on track. I sacrificed short term gains in performance, for the long term goal. I was able to weather the storm and come out on the other side stronger. Despite the short term “setback”. So what does this have to do with the tribe? Fast forward to January and I’ll be throwing my hat in the “semi-pro exerciser” ring again with a couple buddies. We signed up for the Cold Steel Classic in Oswego. Seems stupid, but by being asked to participate, They pulled me out of my funk, they didn’t let me quit on myself. They gave me a reason, motivation even to get back in the saddle. When 2 good friends say we want you on our team, it helped me look at myself in a different light. You are not washed up, you are not too far gone, you are still someone we want to role with into battle. That’s the power of the tribe. It’s why we can’t do life alone. We need others to pull us up when we are down. Second, it held me accountable. To sign up, means to represent not only my self but my tribe! And I’ve got to have 2 guys backs that put their trust in me. It’s that simple. That’s the power of the tribe. It’s why we can’t do life alone. We need others to pull us up when we are down. So now I am refocused. Recommitted. With a little purpose again. Thats it. It seems simple but sometimes something small is all it takes. It’s a new season. Let’s go 💪. Ps. Come cheer us on January. Link here. PPS. If you need more advanced nutrition coaching because you are stuck, or dealing with conditions outside MY scope, schedule something with Sophia. Thing hormone issues, thyroid, other stuff like that. click here to book with her.